A very successful heavy freight locomotive, the "8F's" were introduced by Sir William Stanier in 1935 & were used all over the LMS system on freight trains of all descriptions. The class was adopted for use by the War Department during the Second World War & many were sent overseas, particularly to the Middle East. Altogether 849 locomotives were built at 11 different works. 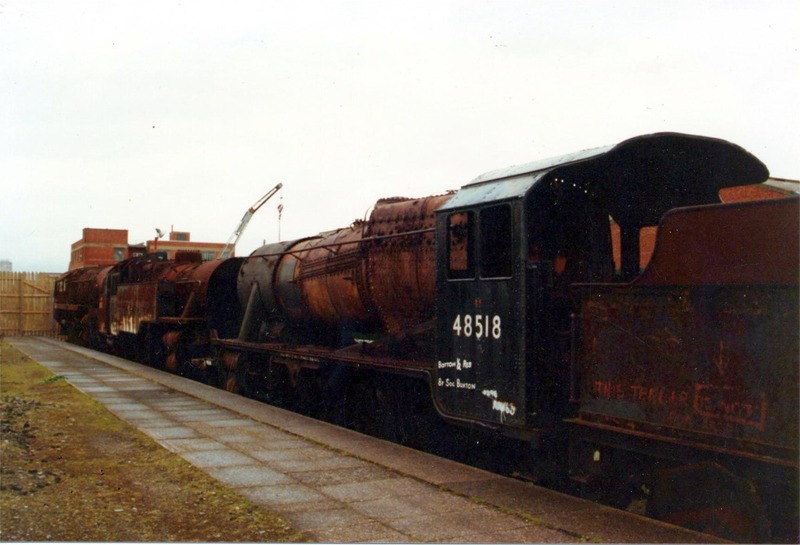 They were used in both South & North Wales on the main lines & were particularly associated with hauling heavy freights over the difficult Central Wales line between Shrewsbury & Swansea. No.48518 was built by the Doncaster Works of the London & North Eastern Railway Company where it was completed in August 1944 & was one of 50 such locomotives built the LNER for the LMS due to wartime expediency. In a long & varied career it worked over many parts of the LMS & was based for a while in Swansea in the early 1950's. It was withdrawn from service in July 1965.